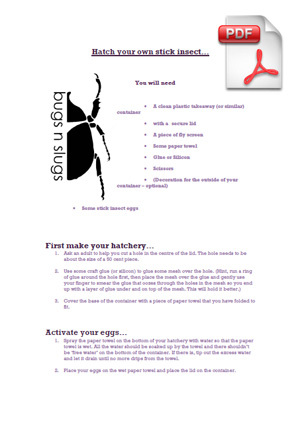 So you want to start hatching your own stick insects? Awesome! To get your copy of the Hatch Your Own Stick Insect fact sheet just click on the image to the left, or on the Download Link below. Be nice to your Stick Insect and happy hatching! !